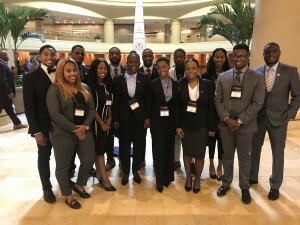 Grambling State University stood out among the crowd at this year’s Thurgood Marshall College Fund Leadership Institute in Washington, D.C.
More than 400 students attended the Institute, which involved breakout sessions throughout the weekend to learn about everything from financial literacy and investing to business meeting etiquette and selling your brand. Chosen to attend the four-day conference were Alickson Alexander, junior computer science major; Christian Bailey, junior chemistry, chemical engineering and military science major; Noressa Fontaine, junior business management and computer information systems major; Jada Johnson, junior biology major; Justin Malone, sophomore marketing and business management major; LaJazz Pichon, freshman visual and performing arts major; La’Terious Pouncy, senior accounting and computer and information systems major; Jarrid Richards, junior computer information systems major; Dhara Richardson, freshman biology major; Faron Rush, junior business management and computer information systems major; Derisha St. Rose, sophomore business management major; Aschel St. Ville, senior biology, mathematics and physics major; Kellyne Thomas, junior accounting and computer information systems major, and Dionte Wilson, senior marketing and business management major. As any of the 14 Grambling students will tell you, being selected to attend the Leadership Institute is no easy task. Bailey, president of the GSU chemistry club and vice president of the Delta Sigma Chapter of Alpha Phi Alpha Fraternity Inc., knows the process first hand. “First you have to apply. Then depending on your credentials, grade point average and campus involvement, you’ll get an interview. There are face-to-face interviews on campus and once you’ve gotten past the first round of interviews, you move on to a second round of Skype interviews. After that, you’re told within the next month or two if you’ve been selected,” said Bailey, who received an internship opportunity with the pharmaceutical giant Eli Lilly while attending the Leadership Institute. “The Leadership Institute prepared me for life after Grambling by showing me the ins and outs of corporate jobs, how to communicate in a professional environment, and how to use my own strengths as a springboard for my success, “ Richardson said. St. Rose received an internship with Walmart’s 2018 logistics summer internship program and Richards received a scholarship from John Deere. 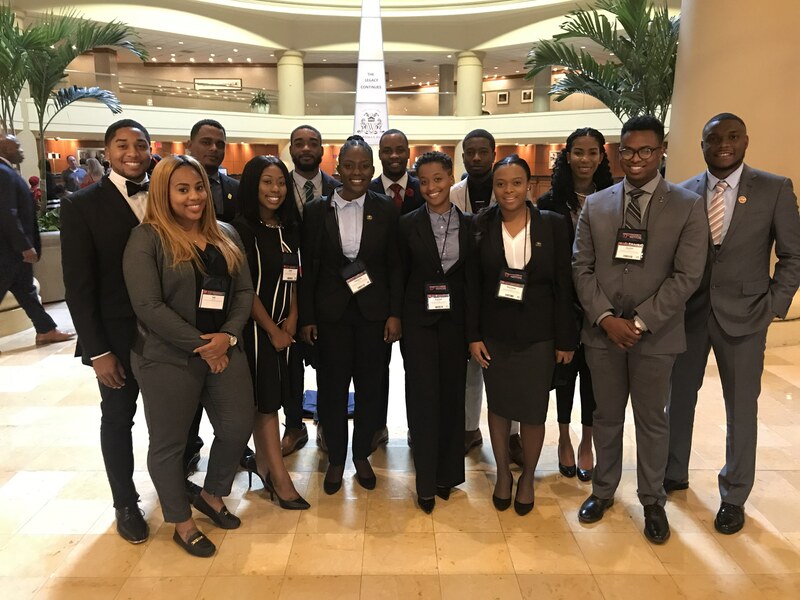 Named for former Supreme Court Justice Thurgood Marshall, the fund has been a key proponent for the professional advancement of African American students for decades.